Yes, carbs are responsible for our increasing waistlines. We often overlook the one key carb that we probably don’t get enough of, fiber. Low carb diets are good, but up to a point. To sustain your desired weight you must have a balanced nutritional diet. It is a carbohydrate that the body can’t digest. It cannot be broken down into sugar molecules, like most other carbs. This makes it valuable because it passes through the body undigested in two forms: soluble fiber dissolves in water; insoluble fiber doesn’t dissolve. 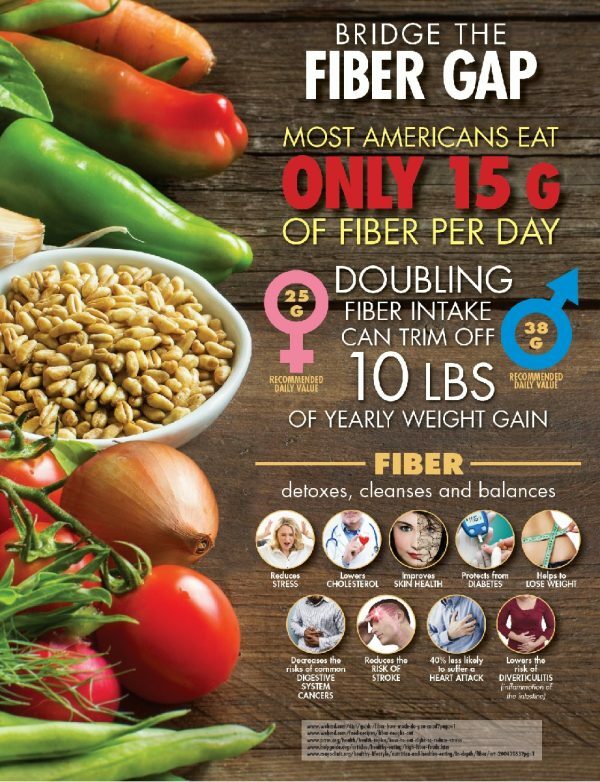 How is fiber valuable to the body?